In 2003, Frank Gohlke (born 1942) and Joel Sternfeld (born 1944) were commissioned to photograph one of the densest concentrations of ethnic diversity in the world--the borough of Queens in New York City. After more than a year of photographing everything from corner bodegas to the borough's boundaries, Gohlke and Sternfeld had not only captured the complicated dynamic that sustains Queens and its myriad communities, they had also evolved a theory of landscape photography, in which landscape is a visible manifestation of the invisible emotions of its inhabitants. Gohlke's Queens consists of streets, houses, fences, gardens, parklands, shorelines and waste spaces, the territory where human arrangement contends endlessly with the forces that undo it: unruly vegetation, weather, rot and decay. 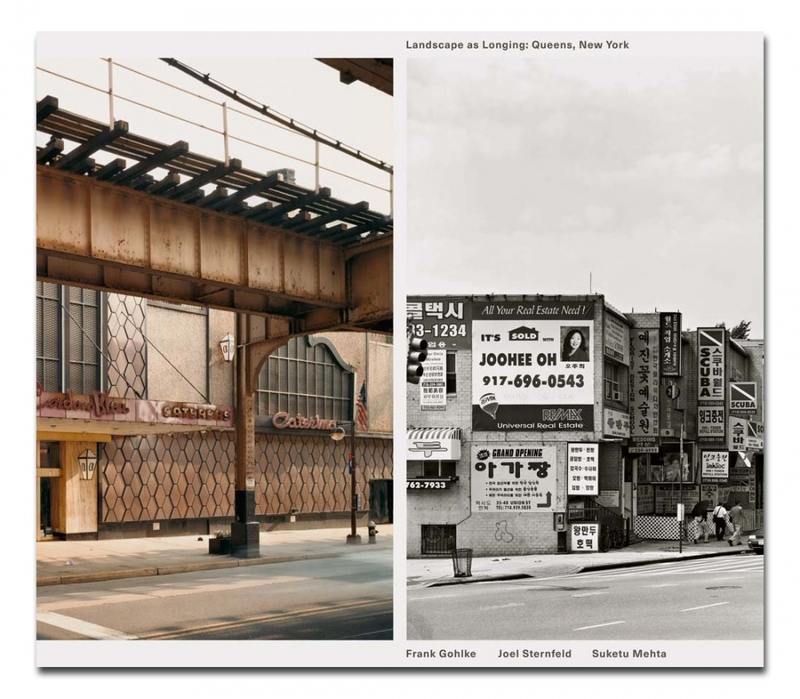 Sternfeld focuses on the borough's shops, restaurants, mosques and temples. With an essay by acclaimed writer Suketu Mehta, this book becomes a powerful instrument for understanding a landscape that seems to defy interpretation.